WHAT ARE THE GROUPS/DEPARTMENTS AVAILABLE FOR CSS EXAM ? 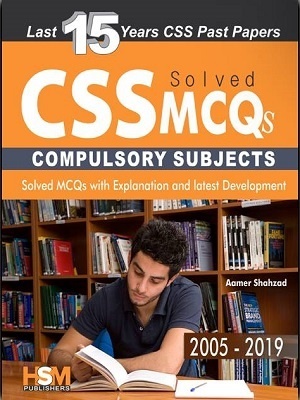 WHERE CSS EXAM WILL BE HELD? (a). The candidates belonging to the Scheduled Caste and Buddhist Community subject to production of a certificate (Annex-A of Application Form) to be issued by Political Agent/DCO/ District Magistrate in support of their claim. 2. Tribal Areas of D.I.Khan and Peshawar Divisions (including former Frontier States of Dir, Swat, Chitral and Amb). 3. Former excluded (Baluch) area forming part of the Dera Ghazi Khan and Rajanpur Districts. 4. Former Tribal Areas of Mardan and Hazara Divisions. (c) The candidates who are permanent residents of Azad Kashmir Territory, subject to submission of a certificate (Annex-C of Application Form) to be issued by Kashmir Affairs Division, Government of Pakistan, Islamabad. (d) The candidates who are permanent residents of Gilgit- Baltistan including Gilgit, Diamir, Baltistan, Ghizar and Ghanche, subject to submission of a certificate (Annex-B of Application Form) to be issued by the Pol it ical Agent/DCO/District Magistrate. (e) The candidates who are disabled namely, physically impaired, hearing/speech impaired (deaf & dumb) and visually impaired (blind), subject to submission of certificate of disability issued by the competent authority designated for the purpose by the Federal/Provincial Government. (f) In Service Government Servants, Armed Forces Personnel, Contract Employees, including the Government servants of AJ&K, who possess a minimum of two years continuous Government service as on 31st December of current year, subject to submission of Departmental Permission Certificate (Annex-E) from the competent authority. Employees of Nationalised Banks, State Bank of Pakistan, WAPDA, Regulatory Authorities, Autonomous bodies and other semi autonomous bodies are not entitled to age relaxation. (iii) The relaxation in upper limits prescribed in paragraph 3(ii) above shall be permitted up to the maximum period of an individual concession and not by the total period of the concessions taken together, if admissible in any case. (ii). The decision as to which certificate may be accepted for the purpose of date of birth rests with the commission. certificate from the duly authorized officer of the concerned degree awarding institution, to the effect that the candidate has fulfilled all the requirements of the said degree and has/had cleared/passed the examination for the said degree on or before the cut off date. The candidate however would be required to produce the said degree before the final result is declared by the Commission. (ii). A candidate who has obtained a Third Division (or ‘D’ grade) in his/her Bachelor’s Degree will be eligible for the Examination in cases where he/she has obtained a higher Division in Master’s Degree. HEC. Therefore, an equivalence certificate issued by HEC may be attached with application form. (ii). A candidate who has married a person who is not a citizen of Pakistan shall not be eligible for appointment provided that a person who marries a “foreign national of any country recognized by Federal Government” with the prior permission of Government may be regarded as eligible for appointment. (a). Seats earmarked for prescribed provincial/regional quotas shall be allocated to candidates on the basis of the domicile certificate issued by the competent authority in accordance with the law and the rules. (b). A candidate who has acquired the citizenship of Pakistan by registration under the Pakistan Citizenship Act and the Rules made thereunder should attach to the application anattested copy of the certificate of citizen-ship. A candidate who has not been registered as a citizen of Pakistan but claims that he/she should be deemed to be citizen of Pakistan under the Pakistan CitizenshipAct should submit proof to the effect that he/she fulfills the conditions on the basis of which he/she claims to be deemed as a citizen of Pakistan. A candidate who derives his/her nationality from the State of Jammu and Kashmir should attach to the application a certificate issued by the Kashmir Affairs Division duly signed by the Deputy Secretary (Admn) in support of his/her claim. be accepted at any later stage. be final. No change will be allowed at a subsequent examination or selection. no subsequent change in his/ her domicile will be accepted. 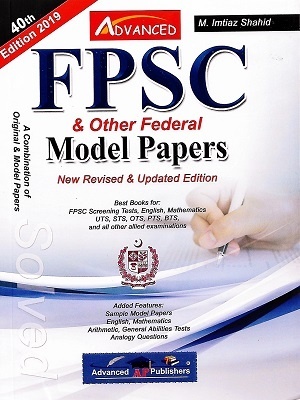 All applications for CSS Competitive Examination must be submitted on line through FPSC website www.fpsc.gov.pk. b) Print out of the duly filled Online Form (i.e. Hardcopy) may be obtained and after signing it, copies of all documents/certificates as mentioned in para 27 of the Form along with original Treasury Receipt may be attached with it and furnished to FPSC so as to reach the FPSC (Headquarters) within 10 days of the closing date. Preferably, the hardcopies may be dispatched or furnished before the closing date so that delay in transit may be avoided. Onus of proof of dispatch of hardcopy of online form and documents, before the closing date, shall solely lie on the candidate. c) Candidates are cautioned that if an online application is received incomplete or wrongly filled in or its hardcopy not accompanied with any one of the documents mentioned in para-27 of application form, it will be rejected. not be accepted and online form already submitted to FPSC shall stand rejected. variation shall cause rejection of candidature. (ii). Candidate must pay Rs.2200/- as Application fee for examination, as per procedure prescribed in Appendix-II, deposited in the nearest Government Treasury or in State Bank/National Bank of Pakistan, under the account head “C02101- Organs of State Exam Fee(FPSC Receipt)”. Cash, postal orders, bank drafts and cheques will not be accepted by the Federal Public Service Commission. Original treasury receipt for written examination must be attached with the application form to be deposited to the Commission. Without providing original treasury receipt as prescribed above, the application of the candidate shall be rejected. under para 7(i)(c) above and para 1(ix) of Appendix-I. (v). Combination of optional subjects once chosen at the time of submission of online application shall not be allowed to change subsequently. Change of optional subjects in hard copy of online form is also not allowed. (vi). For whatsoever reasons, a candidate who misses any compulsory or optional subject of written examination for medical or any other reasons shall not be allowed to appear in the remaining subjects. (vii). If a candidate misses a paper for any reason, no separate examination in that paper shall be arranged for him/her. (viii). Number of Attempts: A candidate may attempt/avail three chances of the examination within prescribed age limits. accordance with clause 12(v) of CE-rules. he/she will not be allowed to sit in the examination. (xii). Candidates will be admitted to the examination provisionally at their own risk subject to their being found eligible in all respects. On detailed scrutiny of the applications after the announcement of result of the written part of the examination, if any candidate is found ineligible in any respect under rules for the examination, his/her candidature will be cancelled/ rejected regardless of the fact whether he/she has appeared in the examination or qualified therein. that they fulfill all requirements of the rules, relating to the examination. examination, Psychological Assessment and Viva Voce. of Pakistan on the basis of his/her choice. application form. FPSC shall arrange the helper from within the available staff of FPSC deputed at the examination centre. The role of the helper would merely be to reproduce in writing the words so uttered by the disabled candidate. No intellectual contribution by the helper is permissible. The educational level of the helper would be Graduate/Intermediate/ matriculate as per availability at the exam centre. No request for choicest helper or venue of the exam shall be entertained. The disabled candidate alongwith helper shall remain within the examination hall till conclusion of the paper. Application Form, else they will not be allowed to attempt the paper on computer. grounds or sudden accident, shall be accepted after the closing date, except where the claim has been made in the application form before the closing date and certificate of disability attached as an evidence. purpose. If any candidate remains absent twice in his/her Medical Examination, his/her candidature will automatically stand rejected and no appeal in this regard will be entertained. However, his/her chance will be considered as consumed. (v). In order to prevent disappointment, candidates are advised to have themselves examined by a Government Medical Officer of the standing of a Civil Surgeon before applying for admission to the Examination. Particulars of the nature of the medical test to which candidates will be subjected before appointment and of the standards required are attached with the Rules as Annex “A”. their aptitude for the Civil Services. Separate marks are not awarded for the Psychological assessment. However, 300 marks assigned to Viva Voce also reflect the performance on Psychological Assessment. Candidates must bring their National Identity Cards and two copies of recent photographs when summoned for Psychological Assessment. If a candidate remains absent in the Psychological Assessment, he/she will not be allowed to appear for Viva Voce. consideration his/her extramural activities such as sports, debates, hobbies, etc., and their effect on his/her physique and character, in assessing his/her merit. failed and will not be eligible for appointment. (iv). The result of Viva Voce shall be intimated to all candidates in due course of time.